The Cat and the Hat is one of the most famous stories by Dr. Seuss, and now its main character has been created into a great costume. 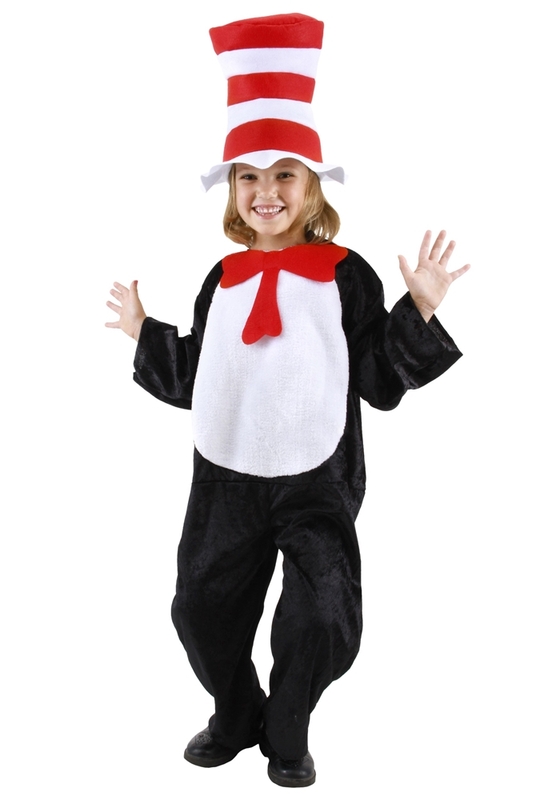 The Cat In The Hat Toddler Costume comes with a jumpsuit with a detachable tail and an attached red bow tie, and the famous red and white striped hat. This Cat in the Hat costume mimics the outrageous character from the story and is perfect for Halloween and story time. Jumpsuit with attached bow tie and detachable tail.